If you click on the image you can see it in full resolution. It shows the canyons and foothills that Curiosity will eventually have to work its way through to reach the mountain rising in the background. The planned route is likely found in the two right images of the panorama, heading back to the west. I suspect to get there they will eventually head almost due south, as shown in those two rightmost images, across ground that looks relatively level, until they reach the ridgeline where their planned route lies. 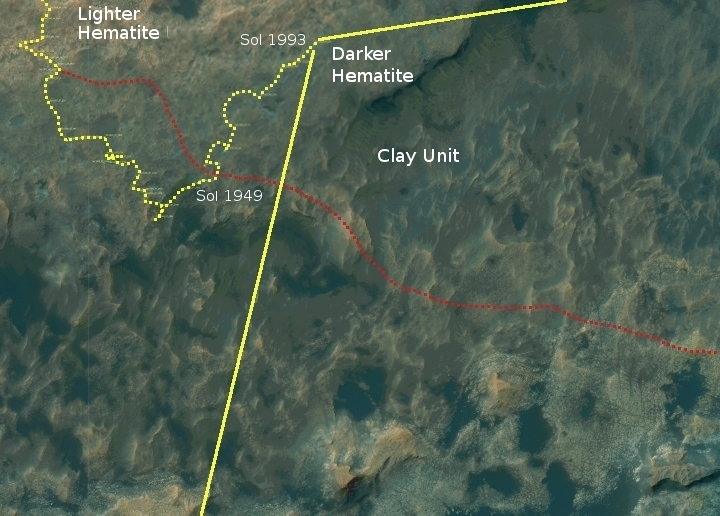 The ground here has produced some interesting geology, illustrated best by image on the right, cropped from the full resolution image taken on Sol 1996 to post here. The bedrock and the large boulders in this area all seem to have these white veins running through them, that look like what on Earth are usually quartz veins. 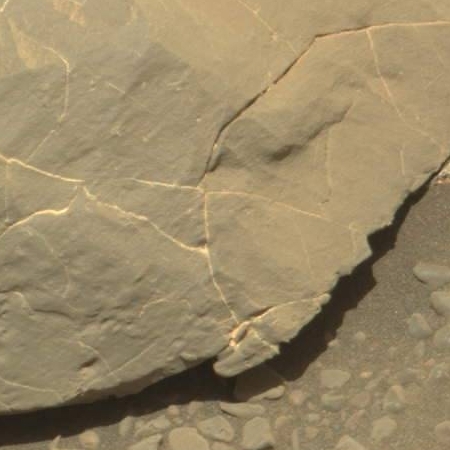 In the cropped image I’ve focused on the bottom of the rock, showing how it has broken at the vein, indicating that the white material was filling a crack or weak area. On Earth quartz veins indicate past water flow, and also indicate the presence of valuable minerals like gold. What these veins on Mars mean is presently unknown, though I guarantee the Curiosity science team is using the rover to find out everything they can. Almost certainly the veins suggest the past presence of liquid flows, probably water (but I make no promises). 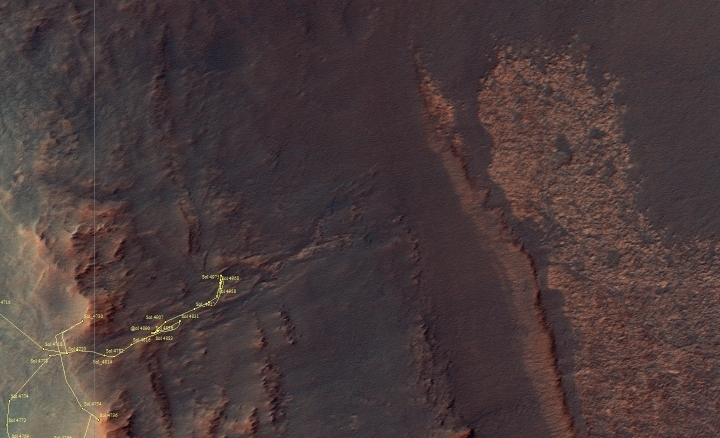 Opportunity is presently halfway down the rim of Endeavour Crater, inside Perseverance Valley, as shown on the traverse map above, taken on Sol 4997. Because it is still winter, the rover’s travels continued to be limited. It needs sunlight to charge its batteries, and at this time of the Martian year it can only obtain so much. 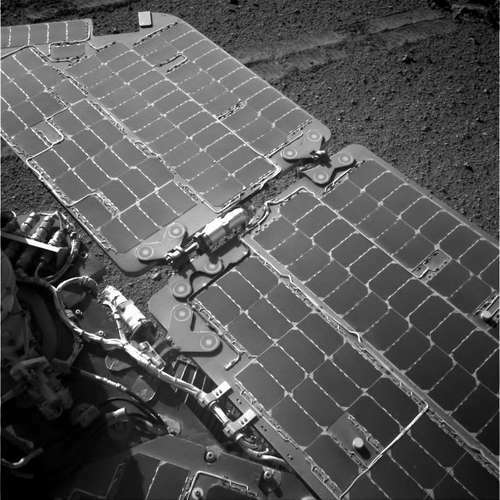 In fact, on Sol 5029 the science team had the rover take some images of the solar panels to check on their condition. The image on the right is one of those images. From what I can tell, the panel’s condition looks pretty good. Most importantly, it does not seem to have much dust on it. Various closeup images of the ground in this valley continue to show ample evidence of past flows, caused either by liquid water, ice, or wind. While previously it appeared that the team favored wind as a cause of some features, I am also willing to bet that they have made as yet no certain conclusions. Some of the features also suggest liquid water as cause, while others sure look like features I’ve seen on Earth that are caused by ice sliding across bedrock. The science team recently used the rover’s abrasion tool against a rock, and taken some close-ups of the results. 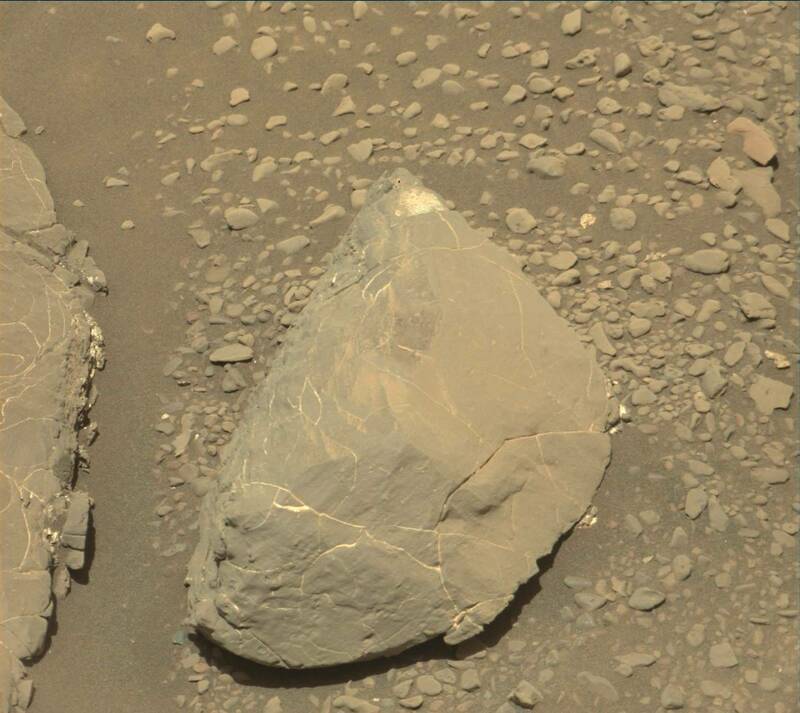 Like much of the rocks of Mars seen here as well as by Curiosity, the resulting dust and debris gives the superficial impression of a soft rock that can easily be ground. 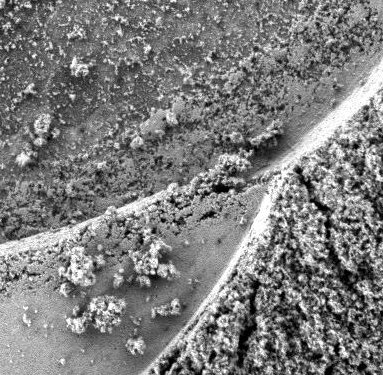 In the image on the right I have cropped one small section of one close-up to illustrate this. To my eye the material here resembles beach sand that had been packed tight, and then broken apart with a brush. 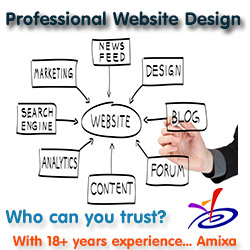 It is very dangerous as an amateur observer however, looking from outside, to jump to conclusions. To really know what has been learned you need to know more about the abrasion tool’s capabilities, and the geology as seen in this image. Eventually the science team will publish papers analyzing this in great detail. I also expect that when those papers are published there will be a NASA press conference to tout the results. By then, they will have hopefully come to some consensus on the geological flow processes that formed Perseverance Valley. Eventually, the Mars winter will end and Opportunity will begin to move more aggressively. They will likely continue down the valley to the floor of Endeavour Crater. From there, it is possible they will move out into the crater, or once again find a route back up out. We shall have to wait and see. Phill O: Fixed. Thank you. The presence of hematite is a pretty good indicator of water at some point. If there was maghemite, that would indicate the absence of water over time.